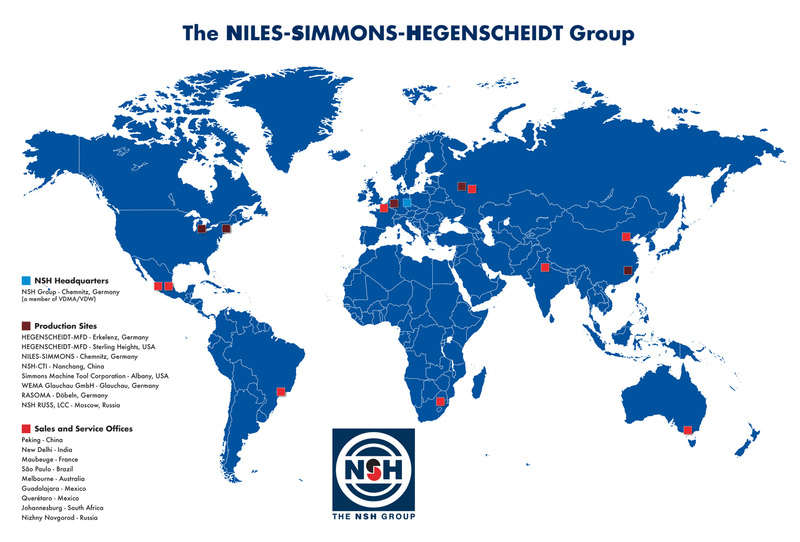 The NILES-SIMMONS-HEGENSCHEIDT Group (NSH) belongs to the 30 largest machine tool manufacturers in the world. The globalisation of the economy and the markets requires the internationalisation of our Group. The huge number of our own sales and service offices has given us the chance to meet our claims in being global by being present in international markets and having worldwide customer proximity.